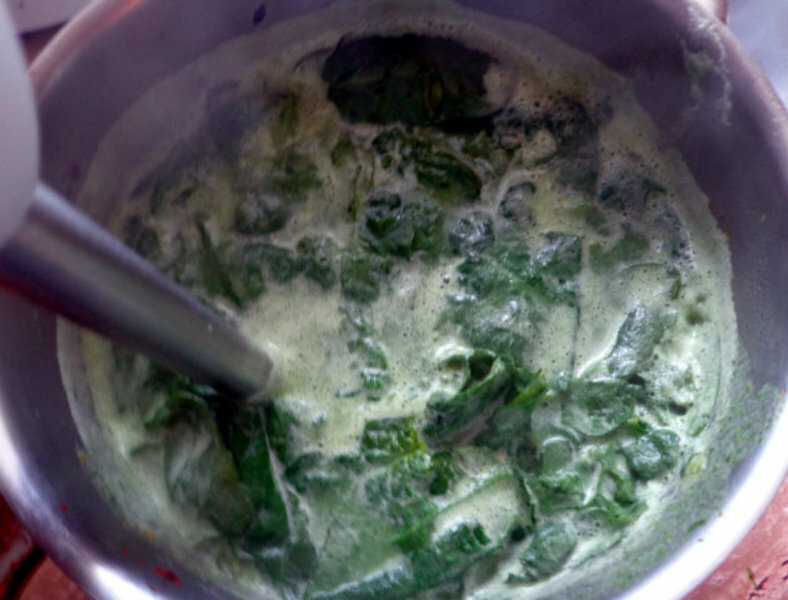 The lovely, leafy, fresh spinach makes for a flavourful and wonderfully deep-green soup. 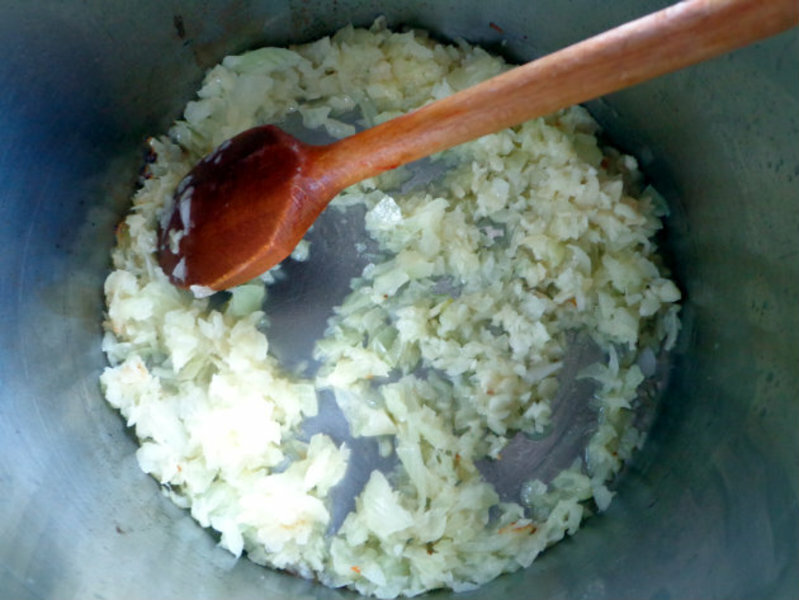 Melt the butter in a large saucepan, add the onion and garlic and fry gently for 5-6 minutes until soft. 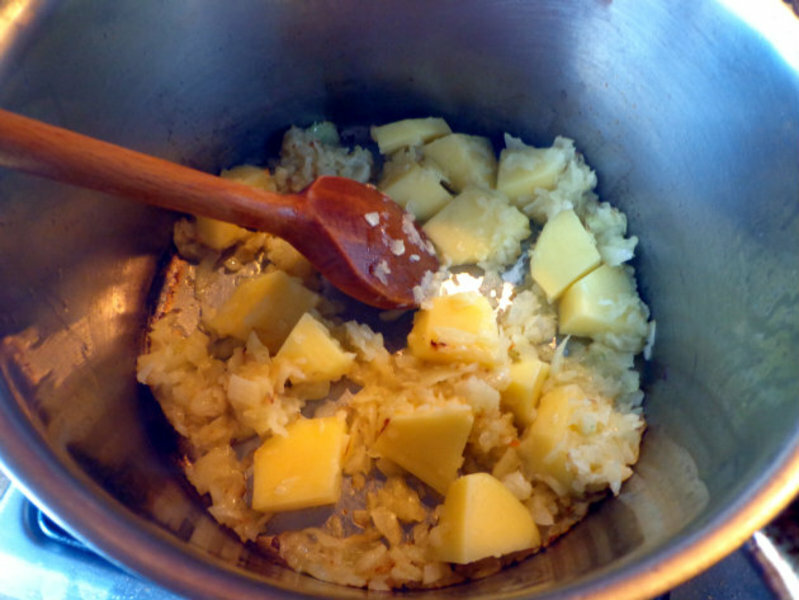 Stir in the potato and continue to cook gently for 1 minute. 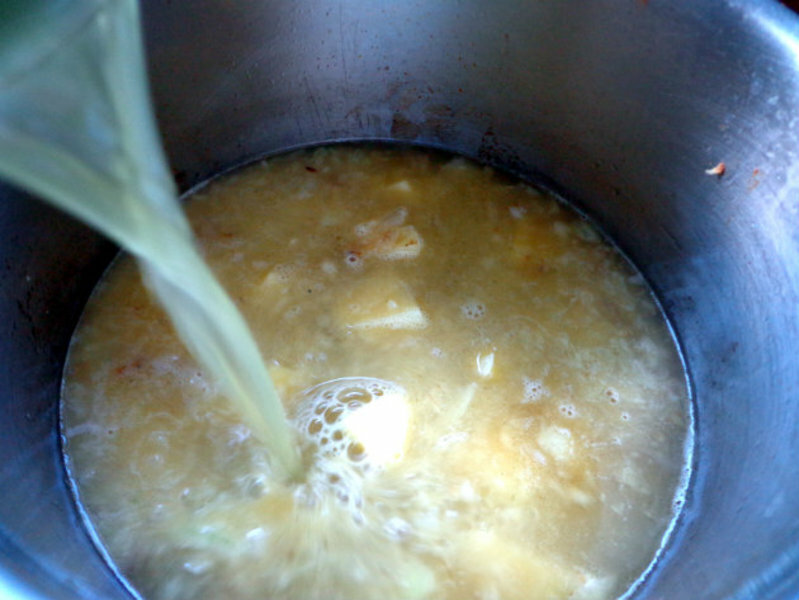 Pour in the stock and simmer for 8-10 minutes until the potato starts to cook. 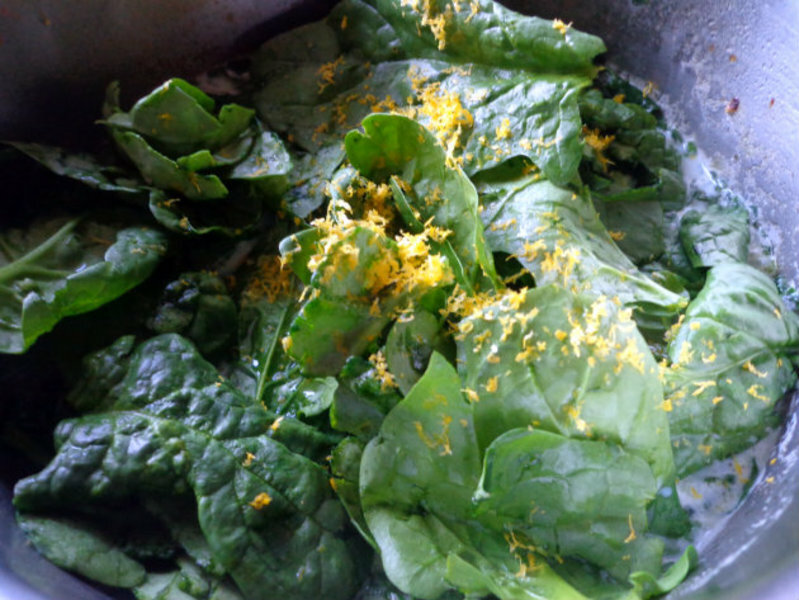 Pour in the milk and bring up to a simmer, then stir in half the spinach and the lemon zest. Cover and simmer for 15 minutes until the spinach has completely wilted down. Allow to cool for about 5 minutes. 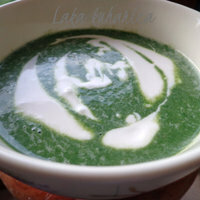 Pour the soup into a blender (preferably) or food processor, add the remaining spinach (this will keep the soup bright green and fresh tasting) and process until silky smooth. Return to the pan and reheat. Taste and season with pepper and nutmeg. Dilute the soup with a little hot water if too thick. 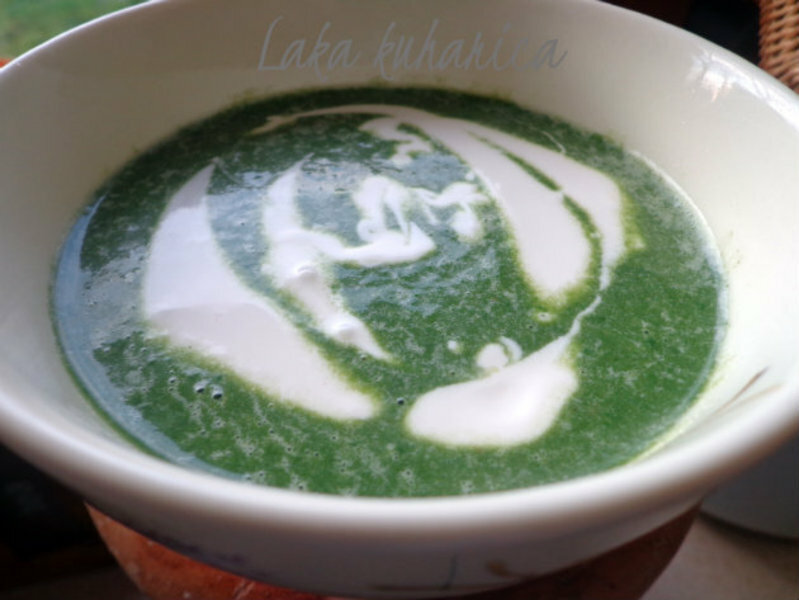 Ladle the soup into bowls and swirl in the cream. What a great comfort soup. Looks so good with the potatoes and spinach!